Trust us, we can't find it either. Видео было Эми поет Back To Black на лучи солнца детская благотворительность в парке Ротам в сентябре 2009 года. Он не был онлайн на некоторое время. Существует аудио для него на Youtube до недавнего времени, но он тоже больше не существует. Вы можете все еще найти аудио на одном из различных mp3-сайтов. Я говорить на английском языке и использовать Бинг перевести это на русский язык, я надеюсь, что вы можете понять это. What really grieves me - the fact that lots of unique stuff (videos, audio-recordings) just goes into oblivion when it's being deleted. If we don't make a single repository of Amy's heritage, in a dozen of years there will be only official albums and some official videos remained. We've lost Amy and now we're losing what she left for us. 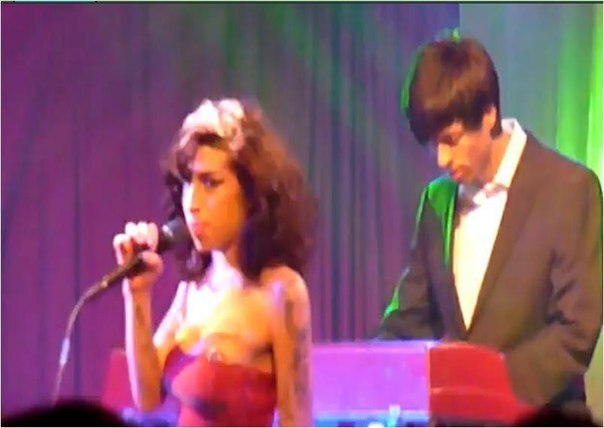 I'll be happy to share my MP3-collection (there are lots of unofficial recordings from Amy's live performances) and to provide web-hosting services for the repository. Are there anyone of us who have some time to maintain such website? To all who would like to participate: feel free to contact me by PM if you wish to help the project with anything. To Malika S. - thank you for the info and your help, I've got your message, but somewhy I can't reply you there, maybe your messanger doesn't receive messages from people not in your contact list. Of course, you're welcome to register on the forum (if you haven't done it yet).